Colonel Demas Thurlow Craw (9 April 1900 - 8 November 1942) was a U.S. Army Air Forces officer who was posthumously awarded the U.S. military's highest award for valor, the Medal of Honor, for his heroic actions during World War II. Demas Thurlow Craw was born on 9 April 1900 in Traverse City, MI. He entered the U.S. Military Academy at West Point from Michigan and graduated in 1924. By 8 November 1942 Craw had risen to the rank of Colonel. On that day he participated in Operation Torch, the Allied invasion of French North Africa. He volunteered to go behind enemy lines and meet with the French commander near Port Lyautey, French Morocco, to broker a cease fire. After landing on the beach under hostile fire, Craw, his interpreter Major Pierpont M. Hamilton, and a driver approached the French headquarters in a light truck. They came under machine gun fire, leaving Craw dead and Hamilton captured. Craw was later posthumously awarded the Medal of for his part in the mission. Although imprisoned, Hamilton succeeded in persuading the French to surrender; he was also awarded the Medal of Honor in 1943. 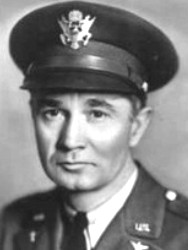 Rank and organization: Colonel, U.S. Army Air Corps. 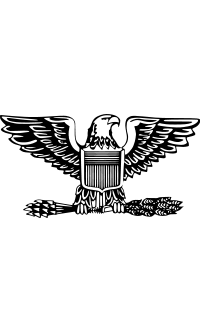 Citation: For conspicuous gallantry and intrepidity in action above and beyond the call of duty. On 8 November 1942, near Port Lyautey, French Morocco, Col. Craw volunteered to accompany the leading wave of assault boats to the shore and pass through the enemy lines to locate the French commander with a view to suspending hostilities. This request was first refused as being too dangerous but upon the officer's ins1stence that he was qualified to undertake and accomplish the mission he was allowed to go. Encountering heavy fire while in the landing boat and unable to dock in the river because of shell fire from shore batteries, Col. Craw, accompanied by 1 officer and 1 soldier, succeeded in landing on the beach at Mehdia Plage under constant low-level strafing from 3 enemy planes. Riding in a bantam truck toward French headquarters, progress of the party was hindered by fire from our own naval guns. Nearing Port Lyautey, Col. Craw was instantly killed by a sustained burst of machinegun fire at pointblank range from a concealed position near the road. Colonel Demas Thurlow Craw was killed in action on 8 November 1942. He was cremated and his ashes were scattered in Wiesbaden, Germany.